The Compulsive Reader: Reading Rants: Oh Sister! As the only girl smack in the middle of four boys, I have always imagines having sisters. Houses full of girls and sharing accessories and fighting over the bathroom mirror and such have always been so foreign to me. Living in a houseful of boys tends to lead one to believe that sisterhood is accompanied with lots of impulsive "Ya-ya!" yelling and the constant presence of the theme song from that one Disney show Sister Sister playing somewhere in the background. 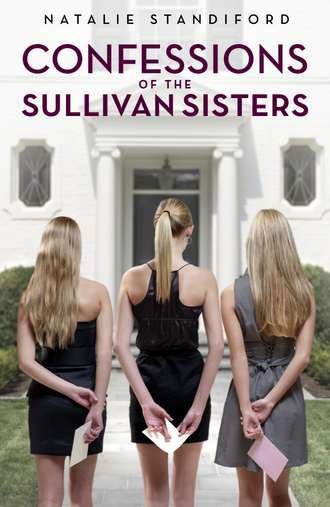 So, it's really no surprise that I have always been so drawn to the idea and theme of sisterhood in books, and it seems that as of late, I've been reading a lot of excellent books that give me a slight idea as to what living with sisters is really like. You can read my review here, but basically this is a hilarious, energetic book that alternates between the points of view of sisters April, May, and June as they deal not only with their parents' recent separation, but with the emergence of some pretty awesome superpowers. I love the quick humor and dialogue, and how Benway really establishes each character! The protagonist, Annabel, is dealing with a lot of things, but like how Dessen highlights her struggles wit her sisters, who have always seemed out of reach to her, especially her middle sister who is suffering from anorexia. Read my review here. Who wouldn't love this action-y and gutsy book about two sisters who hunt werewolves? And of course, there is a great struggle for both girls as they deal with wanting different things in life, and being so close at the same time. Read my review here. This book is quirky and unique, and I love how it is told in the sisters' confessions to their imperious grandmother. Like with Benway's book, Standiford really highlights each girl's personality and allows them their own voice. I liked it a lot! This is a great story of the British Dashwood sisters and their struggles when their father dies and their family's money dries up, forcing them to make a lot of drastic life changes. I read it years ago and still remember it well to this day! 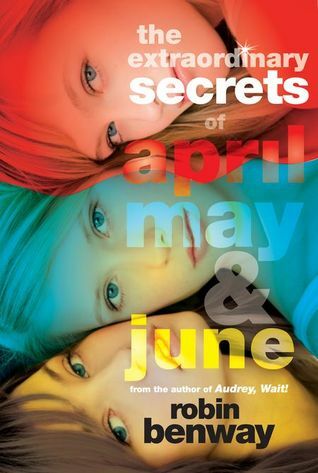 This book really exemplifies sisterly devotion: Ellie is so determined that her sister Nina, who disappeared two years earlier, is alive, that she embarks on a nationwide road trip with a guy she hardly knows to find her, and uncovers a lot of secrets. Definitely full of suspense and mystery! Read my review here. This is the first Maureen Johnson book I ever read, and it really has stuck with me. 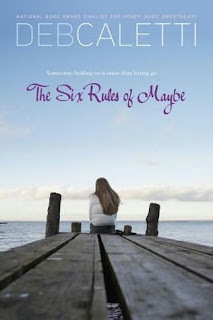 I dare you to find a funnier, wiser, more touching book about love and grief and sisterhood. Even though it definitely feels like May's book, her sisters Brooks and Palmer are wonderful characters. Sisters Quinn and Sprout have always been told that men are bad news, and no one is worse that their father, but Quinn has a hard time believing it until she and Sprout embark on a karmic quest with the older sister they barely know to return items their father stole from past wives and girlfriends. First of all, not only is this one awesome concept, but it's perfectly executed. Caletti has written a masterpiece! Read my review here. Scarlett has always felt the urge to take care of people, so when her emotionally distant sister Juliet comes home pregnant, she wants to fix things and take care of Juliet. But she'll have to learn that some things are never as simple as they seem, and oftentimes people need to take care of themselves. Another wonderful, emotional, and complex story from Caletti! Read my review here. This is one zesty, tremendous read about two sisters and what happens when they grow up and grow apart, and how they learn to hold on to each other and become independent. And since it's a book by Lauren Myracle, it's full of a lot of laughs and a lot of heart. Read my review here. Of course, there are always those sisters who don't get along... In Prophecy of the Sisters, twins Lia and Alice are a part of an ancient prophecy that will pit them against each other. Read my review here. What are some sisterly books that you have enjoyed? The Sky Is Everywhere - even though the sister has died, she's still ever-present. Cold Magic had a great cousinly (basically sisterly) relationship. I have a sister who's just a year younger, and three brothers after that. I can tell you that having that many boys in a family changes the tune of a home, even with a close sister! What a cool post idea. As an only child I always wanted to know what it was like to have a sister. Like Katie, I'm an only child, and I always imagined the same house full of girls and sisterhood ;-) Great theme!